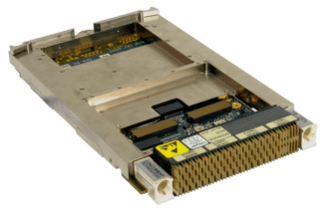 May 12th 2014 – Concurrent Technologies announces the latest addition to their VME processor board family: the VP D2x/msd, based on the Intel® Atom™ processor E3800 product family. Available with either a single core or quad core processor, the VP D2x/msd takes advantage of the features of the Atom™ processor to provide a versatile, low power VME single board computer, suitable for applications within a range of markets including defense, medical, industrial and scientific. The product is available in commercial, extended temperature or ruggedized variants and supports a range of industry standard operating systems. 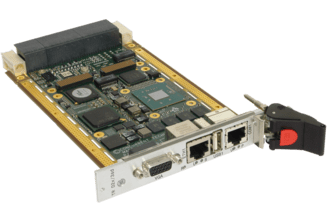 “This versatile low power Atom based board provides a solution for VME applications with a limited power budget, with the single core variant typically consuming less than 12 Watts. The range of environmental specifications, as well as supporting operation without forced air, further widens the range of potential applications for this product family”, Glen Fawcett, CEO, Concurrent Technologies, commented. “The board is an upgrade path from a previous generation and also introduces additional security features and fast boot support and will appeal to both new and existing customers”. 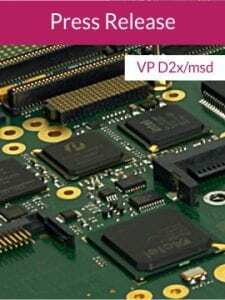 The VP D2x/msd features the 4-core 1.91 GHz (10W) Intel® Atom™ processor E3845 or the 1-core 1.46 GHz (5W) Intel® Atom™ processor E3815, with 4 Gbytes of DDR3L ECC DRAM or optionally 8Gbytes without ECC. Standard features include graphics, SATA 300 interfaces, serial, USB and Ethernet interfaces, as well as an option for stereo audio. Additional features can be added via the board’s two PMC/XMC sites. To ease integration, a range of industry standard Operating Systems (Windows®, Linux® and VxWorks®) are supported and alternatively a Fast Boot solution based on the Intel® Firmware Support Package (Intel® FSP) is available. The VP D2x/msd processor board is released as a commercial air-cooled or fanless board and ruggedized variants will follow.